A growing family is one of the most common reasons for moving from NJ to Fayetteville, where you can enjoy a less costly, more relaxed way of life. However, that relocation is a big effort, so you'll want to pick the right mover. Perhaps you should seek out the services of Simonik Moving & Storage, which has been providing professional moving services since 1977. As a BBB-Accredited company that is committed to excellent service, we've received awards and recognition from the moving industry. 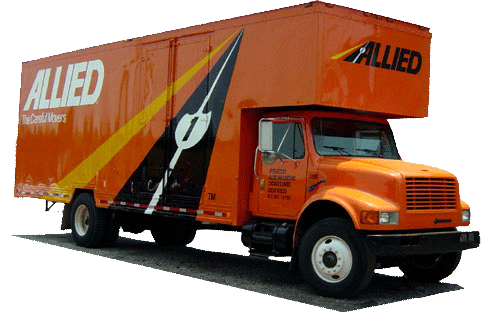 Our reputation is due in part to our work as an agent of Allied Van Lines, which provides access to hundreds of moving and storage professionals throughout the United States. Whether you have a small or large household, it's important to choose a company that can handle all of your moving needs. Certainly, moving to Fayetteville from New Jersey isn't an easy task. However, we'll do everything we can to simplify the project, even assigning you a skilled Relocation Coordinator. This expert will provide an in-home moving cost estimate, answer questions, and navigate you through the entire moving process. Your household items can also be stored for the short- or long-term at our secure warehouse until you are ready to receive them. A move from New Jersey to Fayetteville doesn't always go exactly to schedule. So, we can keep your items safe in our specially designed long-distance shipping containers at our warehouse facility. Your property is stored for any length of time and when you are ready, we'll deliver it right to your front door. Households throughout North and Central Jersey have relied on our services as moving experts. We can help customers in Hunterdon, Mercer, Middlesex, Monmouth, Morris, and Somerset counties with your complete move from NJ to Fayetteville. As a 'Mover of the Year' for the New Jersey Warehousemen & Movers Association, we understand that we have a reputation to uphold and we go the extra mile to provide great service. We're even a ProMover member of the American Moving and Storage Association, which allows us to stay on top of the special industry requirements for conducting a long-distance move. To find out more about our NJ to Fayetteville moving services, please call Simonik Moving & Storage. We'll also be happy to provide you with a free, no-obligation price estimate when you fill out our online form.